Learn the basics from creation to manipulation and take home your new friend at the end of the day! New classes at The American Visionary Art Museum in the not too distant future; join our mailing list to stay in touch! 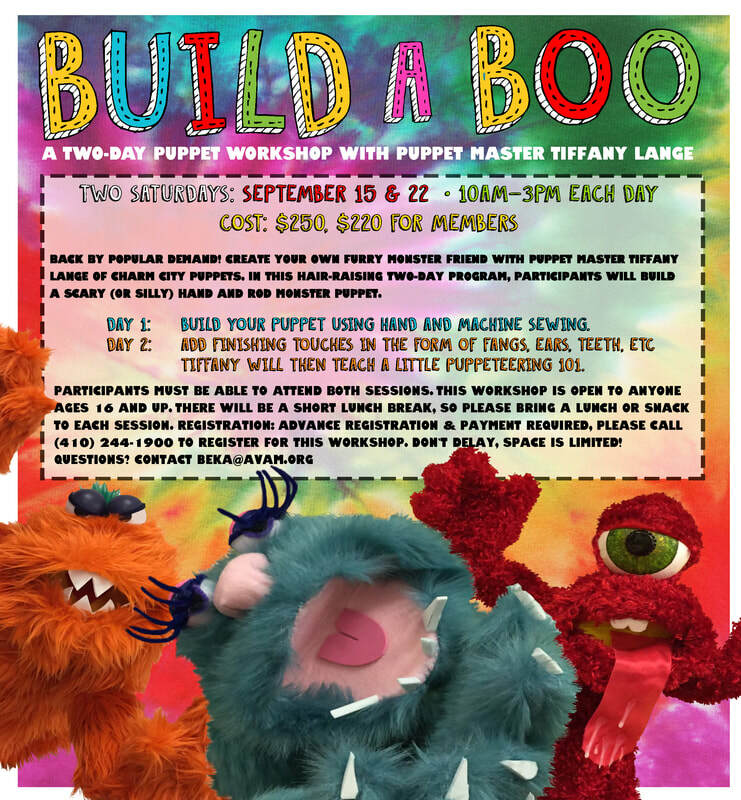 Join us for a class and learn to make your very own puppet! Puppets and classes make great gifts!